Start the weekend at Headwaters Park, exploring colorful and lively Greek culture at Greekfest - where you can experience live music, dancing, and cultural cuisine. This 38th annual, weekend-long event offers a unique – and delicious taste of Greece! Music fanatics will want to head to Sweetwater’s 15th annual GearFest. Tour the campus, talk to manufacturers, participate in workshops, and purchase amazing gear. After you see how the music is made, relax and enjoy one of the many shows that are taking place this weekend. Head over to Foellinger Theatre on Friday night to enjoy the music of Little River Band in this serene outdoor theatre. Or, check out Zoso: The Ultimate Led Zeppelin Experience, which will have you dancing the night away at the Clyde Theatre. 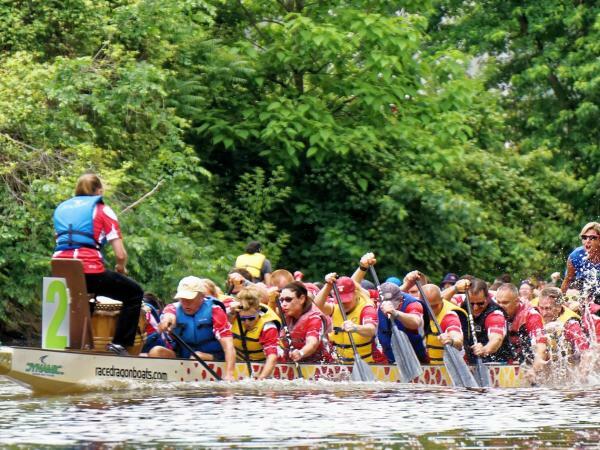 Competitive spirits will want to pick their favorite team to win during the annual Dragon Boat Races at Headwaters Park! The numerous food trucks and children’s activities will be sure to fill your day full of family-friendly excitement. If you’re looking to shake up your weekend and try something new, head over to the Botanical Conservatory on Friday to join Bees and Brew for a night among one of nature’s most important creatures. For the brave hearts, you can walk among a live beehive with a glass of fresh honey beer or wine to get an up-close look at nature’s pollinators at work. If you’d rather take a step back from the hive, you can make your very own beeswax candle while sampling raw honey and honey hors d’oeuvres during this rare event that will put a new twist on getting close to nature. Along with this unbeatable fun packed weekend, Fort Wayne has a never-ending list of events that are sure to entertain the whole family. Check out VisitFortWayne.com to plan your next visit here! 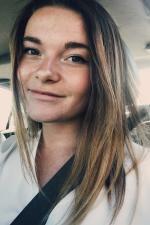 Tatom is a Junior at Indiana University Bloomington who is majoring in Media Advertising with a concentration in Graphic Communication and a minor in Communication and Public Advocacy. She loves anything to do with the creative arts whether it be photography, videography, graphic design, or writing. When she isn’t behind a camera, Tatom loves dogs, hiking, and going to any concert she can.